How can we develop secure and robust software? How can we teach computers to see? How can we make our software easily adaptable to new tasks? How do we improve learning by computers? If you find these questions fascinating, you should choose the Master's degree programme in Computing Science in Groningen. This programme deals with both the theoretical and the practical aspects of computing. You will develop and increase your in-depth knowledge within the areas of Data Science & Systems Complexity, Intelligent Systems & Visual Computing or Software Engineering & Distributed Systems. Most courses offer insightful lectures covering both theory and practice. Apart from acquiring core computing science skills, mathematics and research methodology are also important. In student colloquia research and presentation skills are developed. For those aiming to go into business rather than academia, project management and related topics are also offered. All skills acquired are actively used in research projects, either within the university or during business and industrial internships. Because computing science is pivotal in many areas of research, students can easily participate in one of many research collaborations with other fields, such as bioinformatics, medicine and astronomy. In addition, contacts with many businesses facilitate internships in a variety of fields, matching the interests of most students. 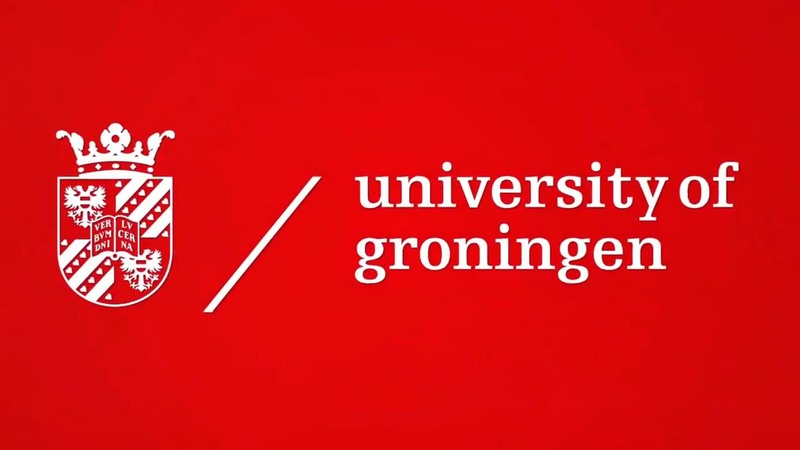 The University of Groningen is leading in analysis and visualisation of medical data. For example, the development of data-driven network visualisations of high density EEG coherence, used for important research in the area of mental fatigue and ageing. 2-year programme; credits per year: 60 ECTS; most courses are 5 ECTS. The ISVC specialisation focuses on research areas such as image processing and analysis, computer vision, pattern recognition, machine learning and brain-like computing. But also scientific visualization, information visualization, software visualization, illustrative computer graphics, and innovative interfaces using large displays, with fundamental and practical problems from the life sciences (functional brain imaging, bioinformatics), health care and astronomy. You will participate in the grand challenge of giving computers the abilities to perceive (e.g. see), analyse, learn and enhance human creativity. In the DSSC specialisation there is a strong interaction of computer science with engineering and practical applications sciences, industry and government. Many of the greatest mathematical and computational challenges faced in almost any science today stem from the combination of large amounts of data and the complexity of the systems under study. You will learn advanced methods of machine learning, pattern recognition, information visualization, and distributed information systems. You will work on developing new methods that help solve these challenges. This Master's degree programme gives access to the additional, highly selective, High Tech Systems and Materials (HTSM) Honours Master. The HTSM Honours Master is organized in cooperation with Philips and other major industry partners. The SBP track focuses on the business and policy side of science. During this track, you will be offered all the right tools to function as a professional in business or policy organisations, including a six-month internship as a scientific advisor. The SEDS specialisation focuses on research in the areas of architectural knowledge, architecture reasoning process, technical debt, architecting critical embedded systems and object-oriented design. As well as all aspects of distributed information systems with particular emphasis on service-oriented computing, pervasive middleware and energy distribution infrastructures. You will contribute to architecting industrial software-intensive systems that meet quality standards by carrying out joint research projects with industrial partners and other research institutes, thus combining academic know-how with industrial practice. Internship: This programme offers you the opportunity to carry out a research project of a variable number of months at a company in the Netherlands or abroad, as part of your thesis. Our choice of industry partners ranges from large multinationals (such as Shell, Philips, Unilever) to dynamic small and medium enterprises in the Groningen area. Double degree: We offer a double degree in Computing Science, with a specialisation in Software Engineering. The University of Groningen and the University Politehnica of Bucharest (UPB) jointly offer this programme. Please note that this programme is only available to students who are enrolled at the UPB in the Master's programme in Software Engineering. Interested students should contact Prof. Goga (n.goga@rug.nl) before February, 1. Sufficient English proficiency on VWO level is required. BEFORE YOU APPLY Make sure to visit 'MSc Application Procedure' at https://www.rug.nl/fse/msc-admission for all the necessary information about the procedure and admission requirements. You might have to follow additional courses if you have a Bachelor degree in computing science from a different university. Which modules depends on the courses you already completed in your bachelor. Access to be decided by admissions board. The Admissions Office will advise the Admissions Board on your application, after which the board will decide if you meet the admission requirements in terms of general level of previous education and specific background knowledge. Make sure to visit 'MSc Application Procedure' at: http://www.rug.nl/fwn/fmns-programme/admissions/msc/ for all the necessary information about the procedure and admission requirements. MAKE SURE TO VISIT http://www.rug.nl/fwn/fmns-programme/admissions/msc/language-requirements for all the necessary information about required language tests. A Bachelor's degree in Computing Science. This is merely an indication of required background knowledge. The admissions board determines whether the specific contents of this/these course(s) meet the admission requirements of the master programme for which you applied. BEFORE YOU APPLY Make sure to visit 'MSc Application Procedure' at www.rug.nl/fse/msc-admission for all the necessary information about the procedure and admission requirements. The Admissions Board will decide whether you can be admitted to the Master's degree programme. Applications are evaluated on a continuous basis. You do not have to wait until the application deadline to apply. If you want to start the master at another point than September then please also contact the academic advisor! The programme is generally tailored towards a start in September and a good study planning is needed when starting at any other point of the year. Having completed the Master's degree programme in Computing Science, you will be spoilt for choice regarding future employment. There are hardly any areas of business or research which do not require computer scientists, either software engineers and architects, or researchers. Usually our students are offered suitable jobs within one month of graduating (or even before graduating). After graduating, most of our alumni move on to software companies (or found their own) or to academia, usually by entering into PhD programmes. Those in industry are generally promoted to managerial roles after a few years and, for example, become project managers. In academia the usual path is from PhD via post-doctoral researcher to university staff member, though quite a few of our successful PhD students have moved on to industry as well. Many MSc and PhD students have gone into the field of medical imaging, either at various universities or in the research labs of large companies. More and more are moving into bioinformatics. Information Systems, which are the backbone of any enterprise with special focus on cutting-edge concepts, architectures and technologies for EAI, business process management (BPM) and workflows, SOA and REST architectural styles, Cloud Computing, Internet of Things, Blockchain platforms, Information Assurance and Security and in the fields of data-driven healthcare, logistics and SCM, advanced biometrics, manufacturing, eScience and scientific computing. Read more on the website of the Bernoulli Institute for Mathematics, Computing Science and Artificial Intelligence. 'During my first year I got a job with Manter, a machinery automation company. I was involved in testing new applications. This helped me get a better grasp of the subject matter and gave me plenty of practical experience and self-assurance, resulting in a job as a project leader as soon as I completed my studies. The projects I work on involve new software systems. Some days I’ll be training end-users, others I’ll design new features, while other days will be all meetings or we’ll spend the whole day testing and fixing bugs. Cover is the study association for students of Artificial Intelligence and Computing Science at the University of Groningen. The association has approximately 360 members. Due to the high percentage of gamers among its members, the association organizes regular gaming evenings. There is also a monthly drinks evening in a local bar in town and a regular selection of more active events, such as volleyball tournaments and sailing excursions.